A National Labor Relations Board (“NLRB”) Administrative Law Judge recently ruled that an employer did not wrongfully terminate an employee for two Facebook postings. The first involved pictures and remarks making fun of the quality of food being served at the employer’s BMW dealership which insinuated that the food would hurt sales and was inappropriate given the type of cars being sold. The second involved comments and pictures about a car accident occurring at a nearby dealer owned by the employer. The employee was primarily terminated for the second comment, although the first comment was discussed. The employee filed a complaint alleging that both the termination and the employee handbook violated Section 8(a)(1) of the National Labor Relations Act (“NLRA”) which provides protection for collective activity. The employee handbook in question provided that employees must: maintain a positive attitude about the dealership at all times, must be courteous and not use profanity, could not give “unauthorized interviews” to attorneys, police officers, or reporters about the dealership and that all “outside inquiries concerning employees” should be directed to the human resource department. These portions of the handbook were rescinded, in writing, prior to the lawsuit. The NLRB Judge found that the employee was terminated due to the post relating to the accident. The Judge further found that the accident posting was neither protected nor concerted activity because it had nothing to do with the employee’s terms and conditions of employment. However, the Judge did find that the portions of the employee handbook requiring employees to be courteous, not give unauthorized interviews, and not answer outside inquiries were violations of section 8(a)(1) of the NLRA. 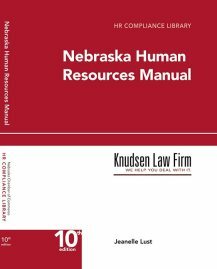 The Judge also found that the rescission of these handbook provisions did not shield the employer from liability because the rescission was not accompanied with a statement that the employer would not interfere with the employees’ NLRA rights in the future. Employers and employees alike should keep an eye on this case. Employer handbooks need to strike a balance between employer control and employee freedom to organize. Employees need to be careful about what they say on social media, just because something is “not the employer’s business” in an employee’s mind does not mean an employee cannot be terminated for it. However, the protections of the NLRA do apply to social media and can be a powerful tool for employees to organize. Employers need to ensure that when they rescind an unlawful provision of their employee handbooks, they must be accompanied by a statement that they will not interfere with employee Section 7 rights in the future.